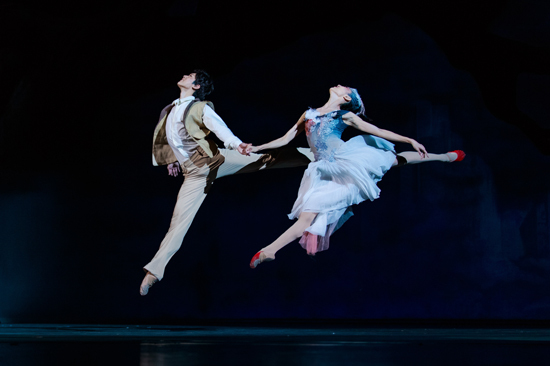 Soaring Wings will be performing at Lincoln Center thru January 7th. Now is the best time to visit New York City and see a dance performance from Brooklyn (BAM), to The Joyce and the Upper West side. The Nutcracker has been cracked. This performance is more about keeping on your toes. A group from China presents their New York premiere of the Shanghai Dance Theatre and their production of mind boggling skills, a new dance drama about “the bird of good fortune,” the crested ibis, and the interdependence between human beings and nature. The production will play at Lincoln Center for 3 performances only: January 5 and 6 at 8PM, and January 7 at 1PM. The story is written by Luo Huaizhen, composed by Guo Sida and directed and choreographed by Tong Ruirui. Backstory: In May of 1981, Chinese scientists accidentally discovered seven wild crested ibises in Yang County, Shaanxi province as well as other parts of China, Japan, Korea and eastern Siberia. With careful protection of the found species, the population of crested ibis has been growing and their relationship with humans. The birds have been saved from the endangered list. Art and science collide with spirit, purpose and reason. Read City Pulse in the coming weeks for the latest in dance, performance and everything happening in and around the city by an insider’s view.